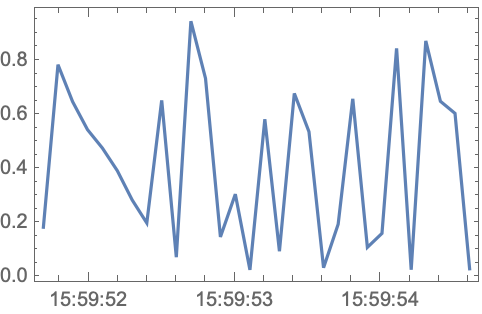 repeatedly reads default items from the specified device at interval dt for a total time t, returning a time series of the resulting values. 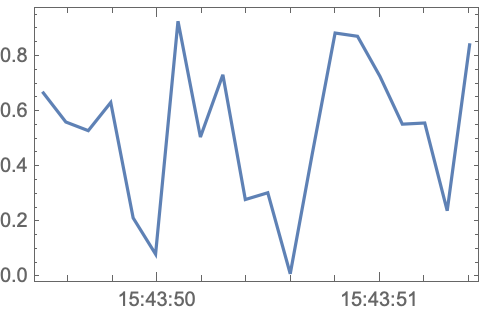 repeatedly reads the parameter param and returns a time series of its values. repeatedly reads the parami and returns a time series of their values. The time parameters dt and t can be Quantity objects containing units. If they are given as pure numbers, they are assumed to be in units of seconds. 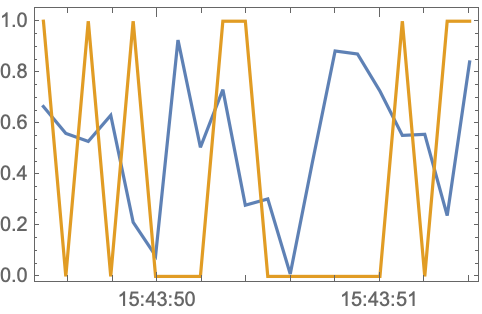 DeviceReadTimeSeries is a blocking function that does not return until it has collected data for time t.
A component of a TimeSeries object ts corresponding to parami can be obtained from ts["PathComponent",i]. For string parameters, a component can typically be obtained from ts["parami"].